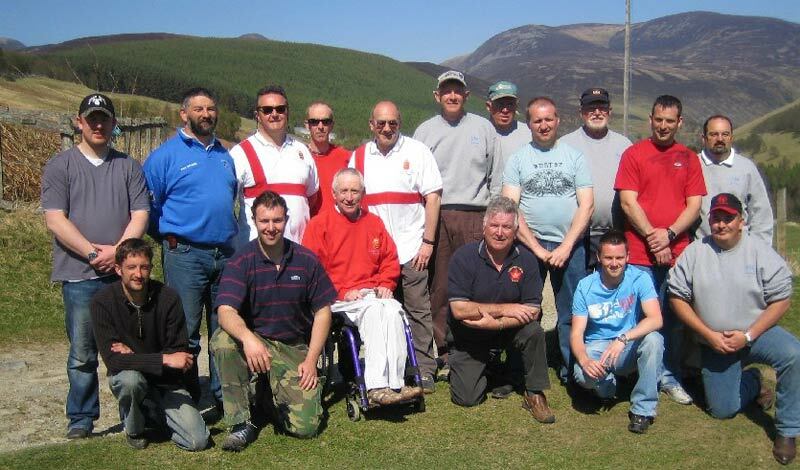 West Atholl Rifle Club's range was host to a Goodwill Team from the USA and to shooters from England, Ireland and Scotlandon the last weekend of April. On Saturday, 39 shooters shot, individually, 2+15 at 900, 1000 and 1100yards. 30 shot open F Class, and 9 shot F/TR (including one obstinate so-and-so, too mean to buy a 'scope, who shot standard TR). On the Sunday, a team of four from each country shot a match at the three distances. F Class Palma targets were used throughout, with a half-minute F Class X-ring, the rest of the X counting as 10, the 10 ring as 9, etc, with anything below 6 counting as a miss. The weather was hot and sunny, but the wind was very difficult indeed. Tim Kidner had the stats out almost before the firing point had been cleared, and the "wailing wall"; (in this case a board) showed that shooters who usually make 145 plus ex 150 were glad to come off with anything over 130 at 1000yds. At 1100 yards it was a good idea to convert a sighter of 9 and even in Open F Class, 50% did not make 120 ex 150. This was a very happy occasion. 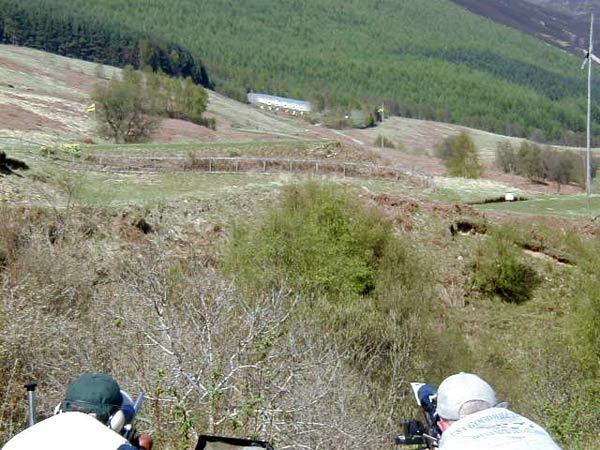 A lot of international goodwill was fostered and Jubilee range is firmly established in the minds (or nightmares) of the top F Class shooters. 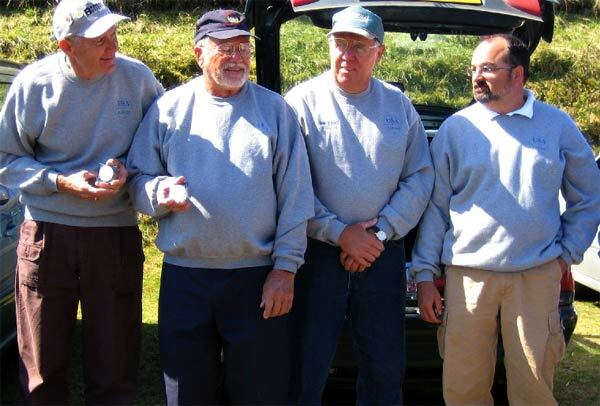 The teams - from left: the Scots, the English, the Americans (in grey sweatshirts) the Irish. Pos. Name 900X 1000X 1100X Grand Agg.